Keep track of all the books your child reads or that someone reads to your child. Research shows that reading books and sharing stories with your child is one of the best ways to help them enter school with the language skills they need to be ready to learn & grow. Sign in or create a new account to get started. American Government provides a complete, multifaceted examination of the foundations of our government and political system that supports any curriculum or research project focused on the government of the United States. American History goes far beyond simply providing names and dates to memorize; it illuminates American politics, science, culture, philosophy, and economics to make the subjects as fascinating and engaging as they should be. United States Geography provides information in an engaging, visual format that helps students gain a deeper understanding of the places and people that make up our country. World Geography: Understanding a Changing World is presented in a highly visual format that engages users and helps them gain understanding and become informed citizens of the world. Ancestry® Library Edition, distributed exclusively by ProQuest and powered by Ancestry.com, delivers billions of records in census data, vital records, directories, photos, and more. Annals of American History includes the full text of primary documents in American history, including historical accounts, speeches, memoirs, poems, editorials, landmark court decisions, and cultural criticism. With Beanstack, customers can get emailed recommendations, log their reading, register children for 1,000 Books Before Kindergarten, and more. Biography In Context offers authoritative reference content alongside magazine and journal articles, primary sources, videos, audio podcasts, and images. Discover book selection ideas! A parent resources for readers of all ages. Britannica Online School Edition offers encyclopedias and related materials for students of all levels. Business Source Complete is the world's definitive scholarly business database which includes peer-reviewed, business journals. Available by scholarship through the Gwinnett County Public Library, Career Online High School offers adults the opportunity to complete their high school education. A guide for students about what to expect when it comes to getting into, paying for and preparing to go to college. The single most comprehensive resource for consumer-oriented health content, Consumer Health Complete is designed to support the information needs of patients and to foster an overall understanding of health-related topics. ConsumerEd.com was created by the Governor's Office of Consumer Affairs to help Georgians be more informed consumers by learning to make wise purchasing and financial decisions, knowing their rights, and avoiding becoming victims of scams or deceptive practices in the marketplace. The Digital Library of Georgia (DLG) is an online, public collection of documents and media about the history and culture of the state of Georgia. Practice your state's DMV permit test or drivers license test - no registration required! With EBSCO's extensive collection of eBook titles on EBSCOhost, users can search within a wide range of relevant eBooks using the powerful EBSCOhost. Britannica® Moderna es la fuente de conocimiento autorizada y confiable que le ofrece una amplia variedad de contenidos para desarrollar sus trabajos académicos. The Oxford Encyclopedia of Ancient Greece and Rome offers a comprehensive overview of the major cultures of the classical Mediterranean world—Greek, Hellenistic, and Roman—from the Bronze Age to the fifth century CE. Illustrated with more than 2,000 color photographs, supplemental maps, diagrams, and other images, The Encyclopedia of Weather and Climate Change takes the reader beyond simple definitions to explore where weather comes from and the roles played by oceans and water cycles. The five-volume Encyclopedia of Human Rights, edited by David Forsythe, offers comprehensive coverage of all aspects of human rights theory, practice, law, and history in over 300 entries signed by leading scholars and human rights experts. Utiliza la cuenta y la contraseña de tu escuela para acceder a Britannica Escolar. Explora for Elementary is EBSCO's interface designed for elementary students. Students can browse topics of interest or search for a topic of their choice. Explora for High School is EBSCO's interface designed for high school students. Students can browse topics of interest or search for a topic of their choice. Explora for Middle School is EBSCO's interface designed for middle school students. Students can browse topics of interest or search for a topic of their choice. Ferguson's Career Guidance Center is a comprehensive career research database, providing detailed and up-to-date profiles of more than 3,000 jobs in more than 94 industries. Flipster is a next-generation magazine service that allows people to browse digital versions of the latest issues of popular magazines, courtesy of the library. Magazines can be downloaded to Android phones and tablets, Apple phones and tablets, and Kindle Fire tablets for offline reading anytime, anywhere. Lending periods vary by title. Foundation Center databases, including Foundation Directory Online Professional, Grants to Individuals Online, and Foundation Maps, are only available within the "four walls" of the Lawrenceville library. GrantSpace is a free service of Foundation Center that can be accessed by anyone with an Internet connection. Gale Courses offers a wide range of interactive classes on topics including professional development and personal enrichment, led by live instructors. Gale Courses FAQs answers all your questions on starting courses, enrolling, and more. Gale's Black History Month resources will help students gain a deeper appreciation for African-American heritage. Personal Finance is designed for public library patrons and high school students who are developing the financial skills needed to transition successfully in the real world – whether in the context of college, the workplace, or their personal lives. With collections in more than a dozen areas, Health & Medicine eBook Collections offers access to must-have titles from industry-leading publishers including Harvard Health Publications, Lippincott, John Wiley & Sons, Inc., and Springer. The database is a must-have for social science, history and liberal arts coursework with access to critical information in the fields of history, literature, religion, and law. 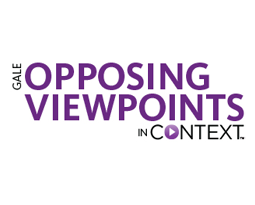 Student Resources In Context offers cross-curricular content aligned to national, state, and Common Core State Standards. Gale Legal Forms helps patrons understand common legal procedures through access to authentic, professional legal documents for businesses, and it is the only electronic reference to offer legal forms that are truly state-specific. Useful for filing patents and trademarks, developing leases, creating bills of sale, delegating power of attorney, and more, these forms are ideal for supporting legal tasks that business owners need to manage. The forms in Gale Legal Forms are drafted by attorneys. The world's most current, comprehensive and reliable online literature database, Literature Resource Center is uniquely relevant to today's researcher. Gale Virtual Reference Library, updated regularly, offers a database of encyclopedias, almanacs, and specialized reference sources. Search GALILEO databases, many of which have full-text newspapers, magazines, and scholarly journals. GALILEO is an online library portal to authoritative, subscription-only information that isn’t available through free search engines or Web directories. Participating institutions may access over 100 databases indexing thousands of periodicals and scholarly journals. Over 10,000 journal titles are provided in full-text. Other resources include encyclopedias, business directories, and government publications. Research assistance, subject guides, and useful resources compiled by your expert, friendly librarians. Know what we know - find it in GCPLGuides! Global Newsstream enables users to search the most recent global news content, as well as archives which stretch back into the 1980s featuring content from newspapers, newswires, and news sites in active full-text format. This product provides one of the largest collections of news from the US, Canada, Europe, Africa, Asia, Latin America, and Australia. All titles are cross-searchable on the ProQuest platform allowing researchers easy access to multiple perspectives, resources, and languages on the topic they are researching. Green’s Dictionary of Slang is an unprecedented 10.3 million-word collection of the impertinent, vile, censored, hip, witty, and fascinating slang words of the English language. The Grove Encyclopedia of American Art (GEAA) deals with all aspects of American art and architecture from Native American art to Colonial art to contemporary American art. The Grove Encyclopedia of Materials and Techniques in Art offers the most comprehensive, up-to-date information on all aspects of this fundamental area of the visual arts. Elementary school students will find useful homework resources in the GCPL Homework Help Guide. High school students will find useful homework resources in the GCPL Homework Help Guide. Middle school Students will find useful homework resources in the GCPL Homework Help Guide. LearningExpress Job & Career Accelerator™ provides personalized, step-by-step job search assistance - from exploring and matching suitable occupations from over 1,000 detailed occupation profiles to finding available jobs from a database of over 5 million up-to-date job postings. You can easily create professional and effective resumes and cover letters, master interviewing and networking techniques, improve your work skills, and prepare for occupation-related exams. Physical Review Letters, Physical Review X, Physical Review, and Reviews of Modern Physics. LearningExpress is an online learning resource to advance a wide range educational and career goals. 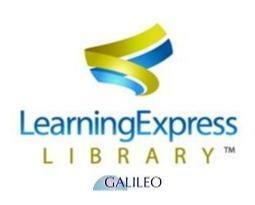 LearningExpressLibrary is your interactive online learning site for all ages. Nearly 1,000 practice tests, tutorials, eBooks and other resources are available. LitFinder is Gale's premier online resource for students and researchers, whether they be poems, plays, speeches, short stories or essays. Turn on. Log in. Get smart. Use your library card to learn software, creative, and business skills to achieve your personal and professional goals. Browse lists of magazines and newspapers available at the library and online through the GALILEO databases. Mango Languages’ PhD-created and linguist-approved software teaches real conversations in over 70 languages and makes it fun; no snoozefests here. And with free mobile apps, learning through film, and the coolest promotional materials around, it's no wonder Mango is the most popular language-learning resource in public libraries. Designed specifically for public libraries, MasterFILE Elite provides full text for magazines, periodicals and reference books covering a wide-range of subjects. MedicLatina is a Spanish language collection of medical research and investigative journals published by Latin American medical publishers. Investment resource specialized in fund investing. Offers news, commentary, fund information, tutorial, tools and forums. The first state encyclopedia designed exclusively for online publication, the New Georgia Encyclopedia reveals the state's rich history, diverse culture, and still-unfolding story. Newspaper Source is an online resource that offers cover-to-cover full text for national, regional and international newspapers, as well as television and radio. NoveList K-8 Plus is a database about books specifically for younger readers. It helps kids find books that are just right for their reading level and interests. NoveList Plus is the premiere database of reading recommendations, available through libraries around the world. Borrow eBooks, audiobooks, and more - anywhere, anytime. All you need is a library card. Leer, ver o escuchar directamente desde el navegador, descargar libros electrónicos en su computadora o usar la aplicación OverDrive con cualquier dispositivo. Para leer el sitio web en español, haga clic en "English" en la esquina superior derecha y seleccione "Español." También, para instrucciones, seleccione primeros pasos con OverDrive en una computadora o primeros pasos con la aplicación OverDrive. With OverDrive for Kids, parents can feel comfortable knowing their children are browsing and borrowing books that are age, grade, and reading-level appropriate all inside an eReading Room. The Oxford Companion to Architecture is a unique and indispensable two-volume resource for all who wish to enrich their passion and knowledge of architecture. The Oxford Companion to the Book is the first reference work of its kind covering the broad concept of the book throughout the world from ancient to modern times. Find hundreds of thousands of definitions, synonyms, antonyms, and pronunciations for English and other languages, derived from our language research and expert analysis. This innovative, multivolume encyclopedia charts the interdisciplinary field of Peace Studies, offering a comprehensive survey of the full range of historical, political, theoretical and philosophical issues relating to peace and conflict. PressReader delivers an endless stream of top news stories to read, discuss, and share. Get full issues of thousands of top newspapers and magazines from over 100 countries just as they appear in print. Learning to read begins at home. Help your children develop early literacy skills now. ReferenceUSA is a resource that offers library users instant access to business and residential listings, including over 55 million US business records, over 297 million US historical business records, and over 4 million new business records. Also available: detailed company information, over 2.5 million job postings, over 292 million consumer records, and over 45 customized search options. Users can create, download, and print lists for marketing, business plans, career opportunities, research, and much more. Sesame Street eBooks offer patrons UNLIMITED access to MORE THAN 150 eBooks available anytime and anywhere. All books are based on Sesame Street's early childhood curriculum and includes eBooks, read along books, audio books, animated books, and interactive books. Download the app for mobile devices. Android and iPad app available. Storytime promotes early literacy skills, exposes children to language and art, allows them to experience group activities which enhance their developing abilities, and introduces the library as an enjoyable place for lifelong learning. GCPL provides access to a wide range of premium resources that you can use to gather information on a variety of tax related topics. Treehouse offers over 1000 videos created by expert teachers on web design, coding, business, and more.